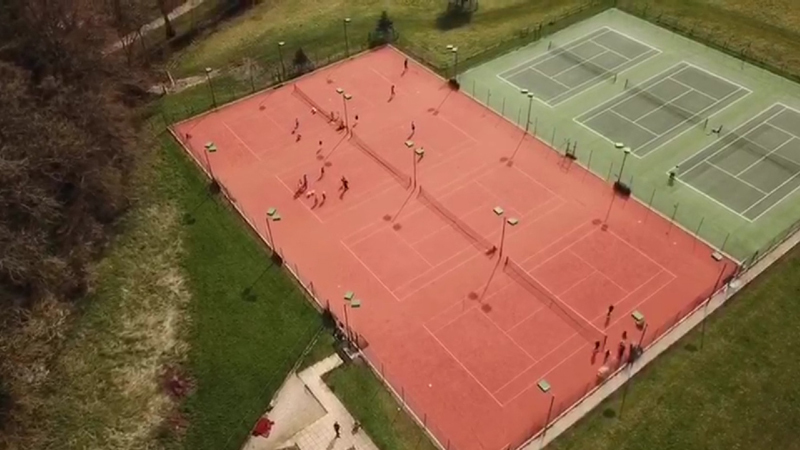 We have 7 all-weather courts – all of which are floodlit. There are times when courts are block booked for club sessions, coaching sessions and league matches – but at all other times they are available for the enjoyment of club members. Please note there will be a temporary arrangement between Wednesday 14th November and mid February. Back courts will be reserved for club night on Wednesdays (to fit around winter matches) and four front courts will be reserved for club night on Fridays. There will then be a permanent move back to Wednesday for club night at the end of February. These well-attended sessions are generally mixed doubles. We rely on volunteers to organise the sessions so please help out by listening carefully to which court you’re on. Please also bear in mind that you will be playing with people of mixed ability – and we’d ask you to adjust your game appropriately. Any questions about playing standard for these sessions should be directed to Rachel Snowball, Shane Horsell or Ro Lyon. Juniors can join these sessions by invitation, please check with the coach. A popular general play session – the pairings for each game are drawn at random. Please email Roger Sweeting on roger.sweeting@sky.com, or phone him on 01285 658808 for more information. Why not come along to club sessions on a FREE trial basis – potential members can try club night/ morning or roll-up three times – let us know so we can look out for you. Visitors are welcome to play with members up to three times. Visitors fees are £4 for Adults and £2 for Juniors. Court booking is done online through ClubSpark. Please click the link below to take you the website. Courts can only be booked 2 weeks in advance. To book, you must be a paid up member and signed in with your ClubSpark account first. If you haven’t registered for ClubSpark, email membership@cirentennis.net to request an invitation to register. Max session length is 1:30 hours (1 and a half hours), you may not use multiple names to book multiple sessions as this is not fair to others. For evening sessions please book either 6pm till 7:30pm or 7:30pm till 9pm. Lights should be turned off at 9pm Winter (9:30pm for matches) and 10pm Summer (Summer is April 1st – September 30th). Light tokens may be purchased from: D&J Sports, 75 Cricklade St, Cirencester, Gloucs, GL7 1HY. Courts unclaimed 10 minutes after the booking time can be used by other players, please cancel if you cannot use a court. The booking app works one day behind the website, hence you can only book 13 days ahead with the app. The 14 day booking window updates at midnight; therefore, booking at this time may not work first time. Once you have selected a login method, you must continue to use that login method; we recommend the LTA login. Please do not book subsequent sessions in different names. Juniors may not book courts after 6pm but are welcome to use vacant courts, provided they release the court immediately if asked.